Robbie Williams has revealed that he has had to vastly change his lifestyle after a recent health scare. The 'Feel' singer spent a week in intensive care after abnormalities were found in his brain last September. He has now said that this experience coupled with Cranberries singer Dolores O'Riordan's sudden death at the age of 46 last month, has "scared" him into taking up pilates and meditation. 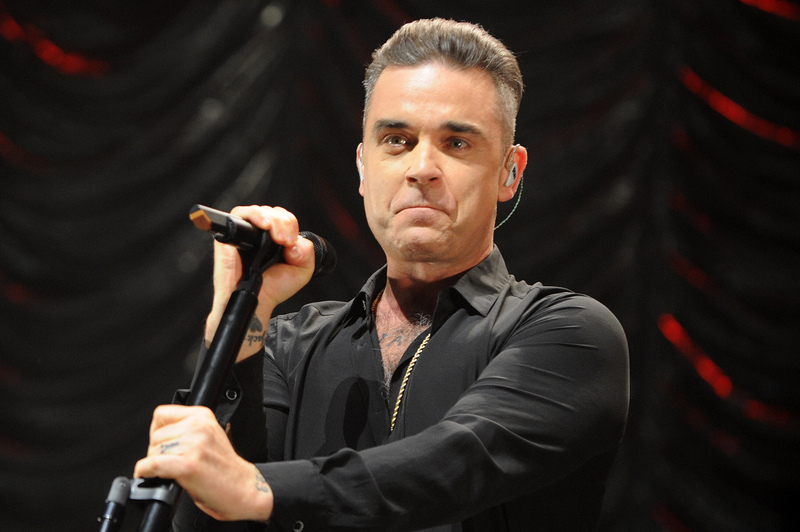 Speaking to Australia's Herald Sun, Robbie said: "The health is good; really good. It takes on an awful lot to change my lifestyle, to be scared into the right actions. What does it take to actually change? "Oh, nearly dying. That will do it. The big plus point of last year to me was steering myself into the right behaviour and looking after myself so now it's yoga, meditation, pilates." Speaking about O'Riordan, Robbie said: "And then you wake up and see the news about Dolores, such a tremendously gifted singer and artist. It just doesn't feel like something that has actually happened. "And it's happening more and more. And more and more it is confusing to me where I wonder what's happening to my world and how I am at this age now where it's going to keep happening to people I know and love." Robbie previously spoke about his health scare, after doctors discovered what appeared to be "blood" on his brain. He said: "I had blood tests done, and I had various scans including ones of my heart and my brain, and there were some abnormalities found, including something on my brain that looked like blood. "That was obviously very scary, so the decision was taken out of my hands and I was sent straight to the intensive care unit. It's very weird to go from being on tour to suddenly being in intensive care, but that's where I found myself."